Already wildly popular in Japan, Nintendo’s Tomodachi Life ready to take on the North American market just in time for summer. The game is set to bring a fun “hanging out with friends” style experience. Players create their own playable Mii characters in the game – my son has created his brother and a few friends along side his own character (and yes, he’s created me in there as well). He’s customized what each character wears, their living spaces and they all have their own unique personalities – likes and dislikes. 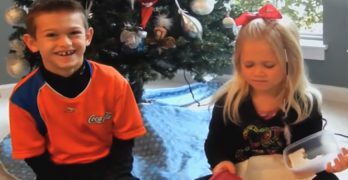 But each time he plays, the characters are brought to life with situations that are often funny… apparently his brother now has a girlfriend, and yes, they can even get married and have babies… maybe later. The player interacts with the characters through everyday situations injected with surprises. 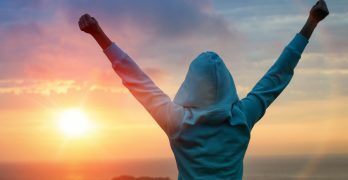 There are situations where social problems need to be resolved. At one point he had to figure out why one of the Mii characters was feeling down. He virtually introduced that character to another and they’ve become friends. Another time he figured out that the character was ill so he purchased medicine. Apparently he’s solved over 400 problems so far (the game keeps a count)! By helping out the characters he earned points that can be used towards purchasing food (like ramen! 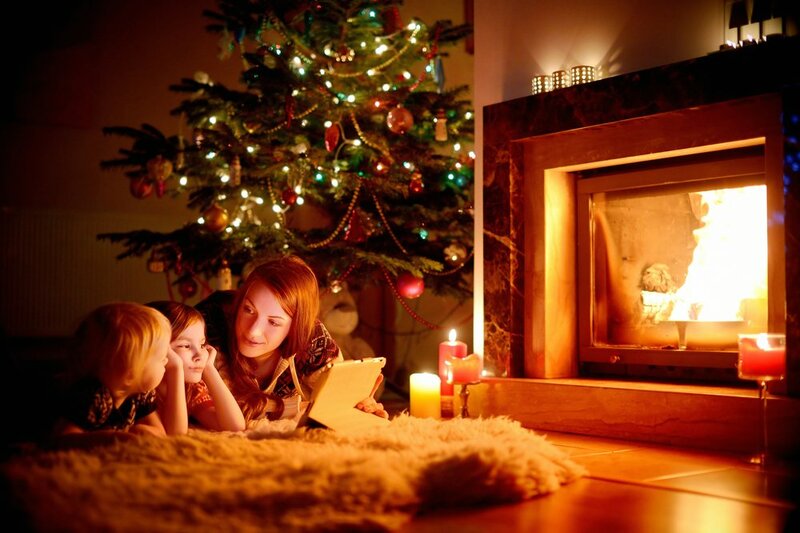 ), clothes or buy gifts for others. 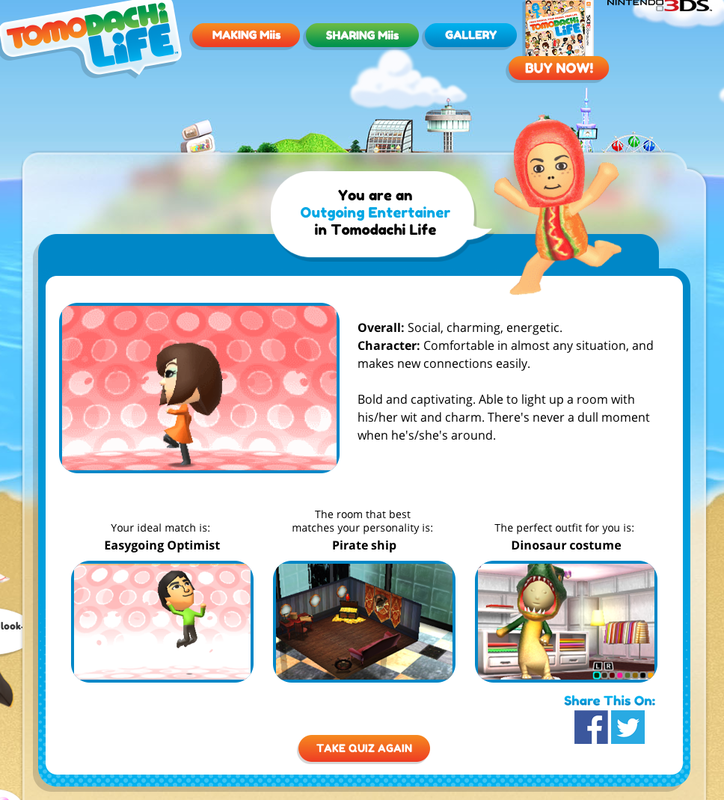 “Tomodachi” is the Japanese word for “friend” and millions of fans in Japan have already caught onto this addictive game. Aside from creating your own family and friend characters, Nintendo also provides celebrity Mii characters like Shaun White, Christina Aguilera and Shaquille O’Neal that can be found on the Tomodachi Life Website. 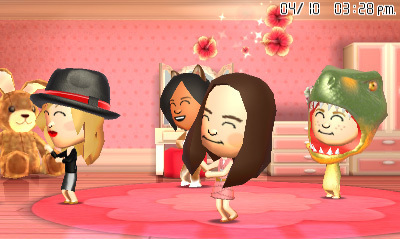 So, yes, your Mii can also hang out with the A-listers. My 9 year old has been hooked for almost a month now on this game and he says he likes how he can check in and see what these characters are up to — sounds almost like status updates on social media! I admit that I’ve been playing along with him. Definitely a fun game especially for the upcoming months when there will be some relaxing down time for me and my kids (hopefully). 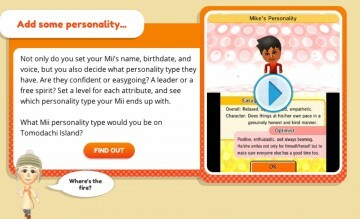 There’s a fun quiz to find out your Mii personality — apparently I’m an “Outgoing Entertainer” in Tomodachi Life. Hahaha! 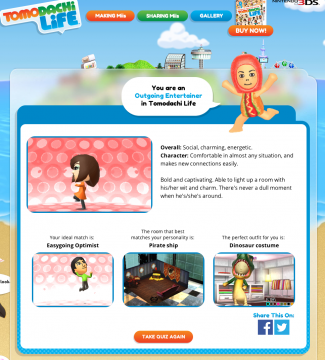 Tomodachi Life is available in stores and in the Nintendo eShop on Nintendo 3DS at a suggested retail price of $39.99. 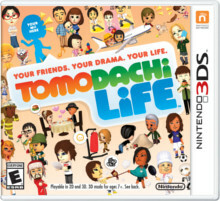 Anyone who buys the game will get two codes to give to friends who own Nintendo 3DS systems to let them download a special “Move-In” demo version of Tomodachi Life so they can check it out for themselves.